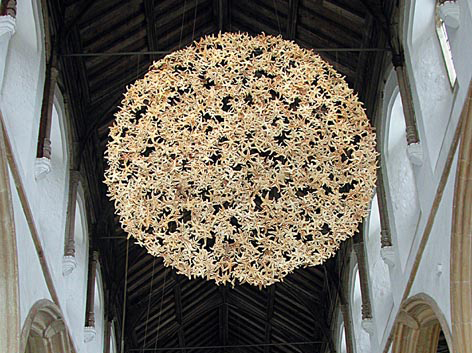 This work had its roots in a walk in stages around the coast of Norfolk. We generally walked the low tide line, and we talked, took photographs, and collected bits and pieces that caught our eye. This was when we first noticed and talked about starfish, and Margie was reminded of the ceiling of the mausoleum of Galla Placidia. 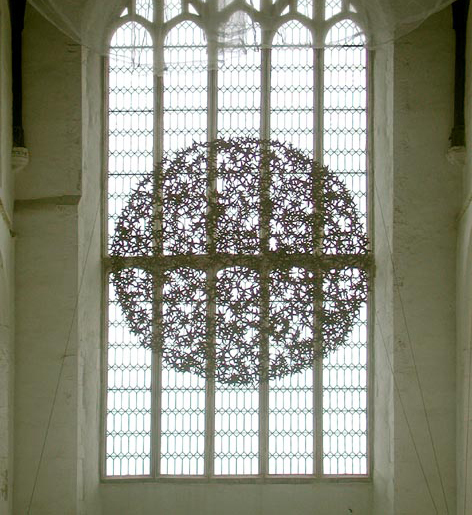 As a result of this we decided to make a starfish installation at Salthouse Churchas part of Light and Space, taking starfish from the sea bottom and transforming them into a celestial body.